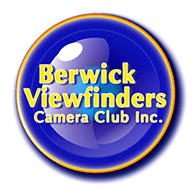 Berwick Viewfinders Camera Club Inc. Club Member - Competition Entries & Results - Berwick Viewfinders Camera Club Inc. Welcome to the new system for BVCC club members to manage competition entries and results. You must be a registered user on the club web site, and your web site login needs to be activated in the system. If you have not already registered, click the link above, then click on the ‘Register’ button when prompted for your username and password. If you have registered; but are being denied access, send an email to the print stewards and we will activate your access.